New 4" diameter approx full coloured mission patch for Expedition 47 featuring Tim Peake. 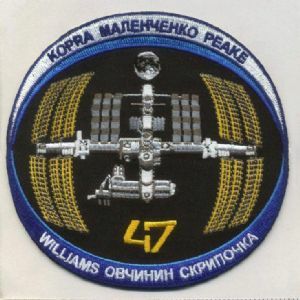 Expedition 47 is scheduled to be the 47th expedition to the International Space Station. Astronauts: Yuri Malenchenko, Timothy Peake, Timothy Kopra, Aleksey Ovchinin, Oleg Skripochka, Jeffrey Williams. Expedition 47 is scheduled to launch no earlier than March 18, 2016, but is subject to change. The central depiction of the International Space Station (ISS) is in recognition of the international achievement of designing, building, and maintaining a world-class space laboratory. 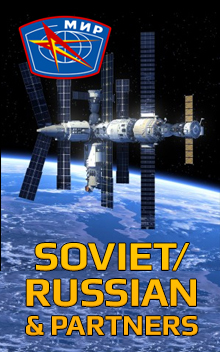 The orientation of the ISS represents the view seen by the Soyuz crewmembers as they approach the Station. 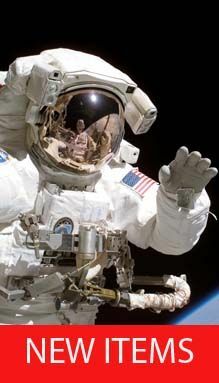 The blackness of space in the background portrays the limitless area that humankind has yet to explore. The efforts of the Expedition 47 crew will contribute to the growing body of knowledge and expertise that will allow us to extend human exploration beyond low-Earth orbit. The three blue colors are from the flags of the Expedition 47 crew’s home countries (United States, Russia, and United Kingdom), representing a fundamental commonality among each of the international partner countries whom the crew-members serve.